It’s been all about accidental upskilling and family dishonour this month. 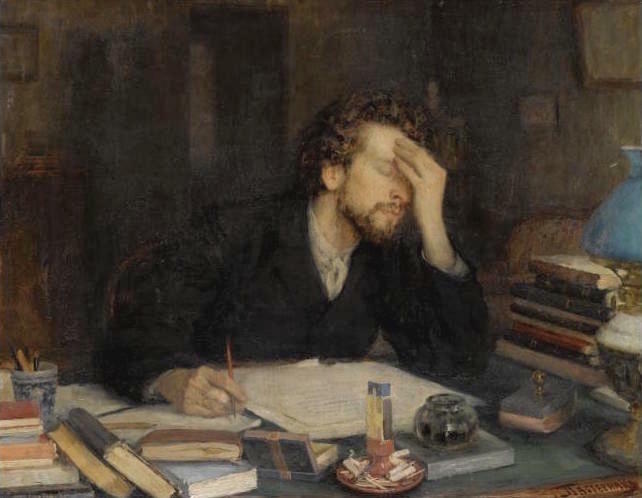 Every writer goes through times with each project where they’re convinced – or at least fearful – that they’re writing absolute dreck and everyone will hate it. At these times, I wail at my husband, who patiently tries to convince me (using logic, the poor deluded sweetie) that this is not the case. And at that precise moment, I had an epiphany, which settled upon me with the force of absolute conviction: I needed a Dishonour Cow. A cow which would sit upon my desk and soak up all the dishonour that was sloshing about from the dreadfulness of my drafts, thus freeing me up to focus on the actual work. 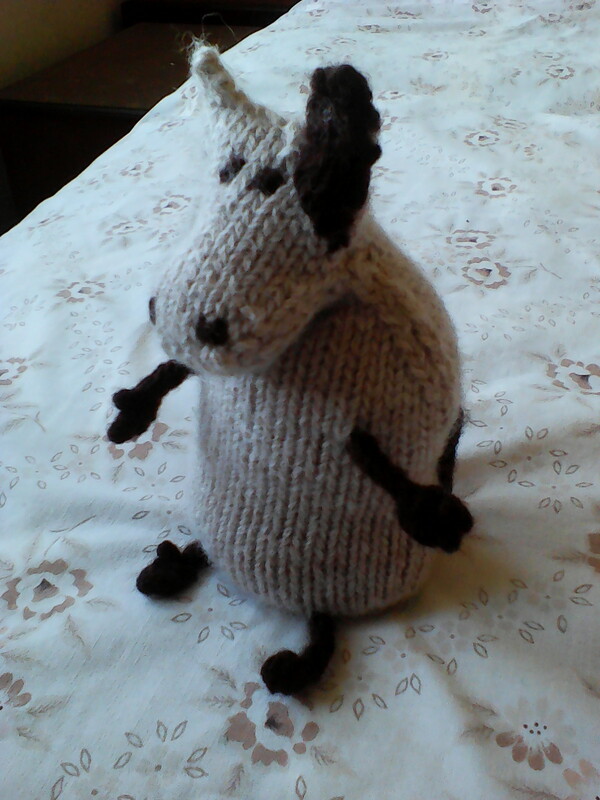 The intarsia… well, let’s start with the positive, and say that it improved as I went along. Nevertheless, the brown markings on the back of the cow look less like patches of melanin and more like the sort of lump which would send any right-thinking cow stampeding down to the vet’s for a mole map. I feel I might do better with something like Fair Isle, where you carry both yarns with you instead of looping one back – since I recently upskilled in the matter of carrying yarns across the back of the work, for the purposes of weaving the ends in. The felting was possibly more of a success, I’m still not sure. It felted a bit, though not nearly as much as I expected given the heat of the water. On the other hand, it does appear to be sufficiently felted to retain the rice it is stuffed with, so we’ll call that a win. And maybe do some research before trying felting again. 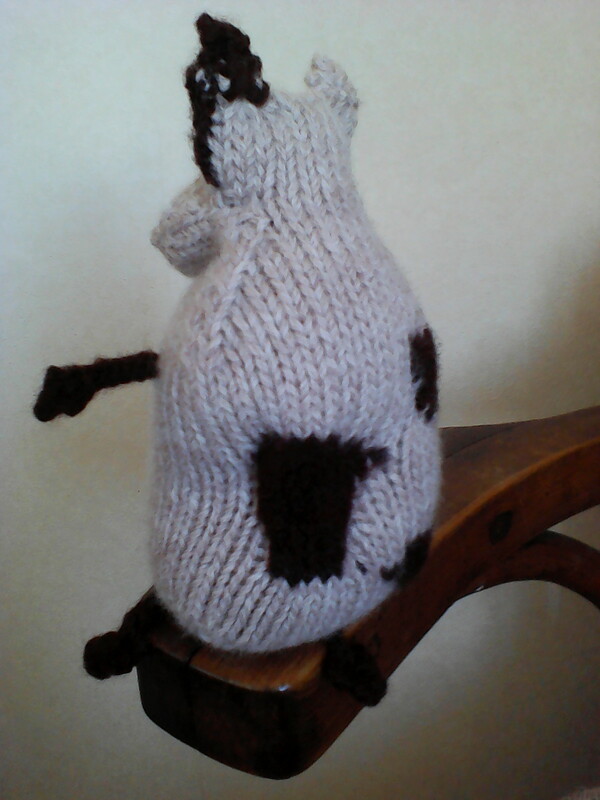 Overall, though, I am exceedingly pleased with my little Dishonour Cow. It is a little Far Side-ish, a little Moominny, and entirely satisfactory. While it has yet to embark upon full dishonour-absorbing duties, it also acts as a cute cuddly desk ornament (about kitten-size for tummy-rubbing convenience) and could also, I suspect, double as a wheat-pack for localized pains, as it only weighs 250 grams (whereas our other wheat-pack could double as a defensive weapon for sandbagging burglars). I am still brooding over whether the imbalance of the ears would be improved by adding a little yellow ear-tag or not. The reason it has yet to take up its intended role of dishonour-absorption is that I finished the first draft of The Wound of Words the day before I finished the cow. 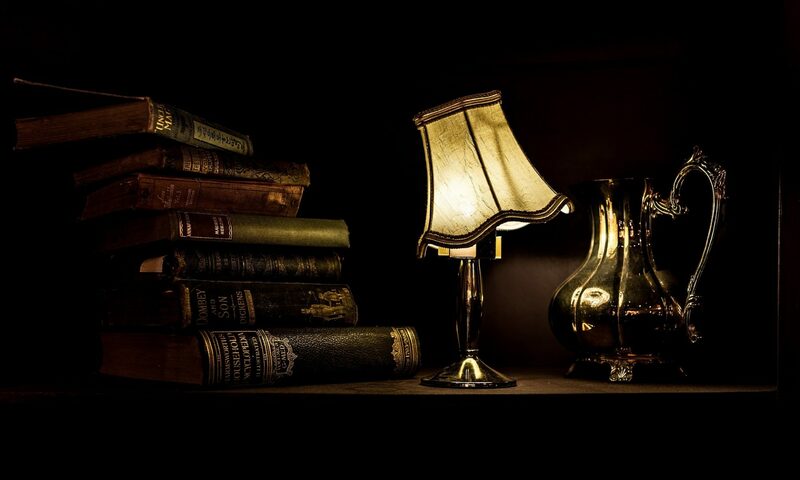 It’s a brief draft: at 61,400 words, it’s well under half the length of the first draft of Restoration Day, but I haven’t retrofitted the subplot yet, or attended to the four pages of rewrite notes I accrued during the writing. I decided, given how long it was taking me to recover from the fourth in my Series of Unfortunate Events Respiratory Illnesses, that the week I had set aside for subplotting would be better spent resting, building up my strength, and trying to catch up on house and yard work. I can’t remember the last time I took time off without being sick – Sundays, Christmas & Good Friday excepted. Come Monday and October, I shall be back into the thick of it, preparing for November’s NaNoWriMo effort: writing the first draft of Dolly & Dot: The Mystery of the Missing Maid. As I won’t be writing on Sundays during November, my daily word-count goal will be 2,000 rather than the classic 1,667. Working on The Wound of Words I averaged 1,554 words per day – but only if you count the 34 days I actually wrote. If you average it out across the whole period of records, Monday to Friday, I wrote an average of 587 words per day. Pop into the comments for a chat: what have you created by the work of your hands lately? Have you given in to a sudden impulse (cow-related or otherwise), or have you virtuously made progress on a pre-existing project? Whew, all my trepidation over reading about family dishonour was a waste of trepidity. 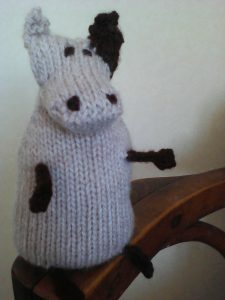 I love your Moomin Cow, and recommend you call it ‘Min-moo’. Leave the ear for now – it makes the cow more suitable to have dishonour heaped upon it – and you are a writer, not a plastic surgeon. May you have excellent health and no concerns over what you are producing. Thank you! Wasted trepidity does appear to be a common element here, as (so far as I know) I have yet to actually bring dishonour upon the family by my writing. But the Dishonour Cow is ready, just in case. Mostly it gets called “coo-beastie” at the moment, a la Wee Free Men. I need a whole HERD of dishonor cows! MOOO!